This kickstarter project should be still fresh but if it isn't, here is a mini recap. Kelechi Bradley has invented (I love saying that!) a new tool to help stretch natural hair. It is basically a flat plastic vented plate with two clip sections. She has a demo video of the tool and is looking for $8000 for her first manufacturing run. Now some of you readers are asking questions about the tool and I have to repeat this really clearly......I am not the inventor, I have not been in contact with her, I am only a backer because I (real big emphasis on I) can see that this tool could potentially be much better for stretching hair compared to curlformers or hair rollers. I will answer your questions because they were asked to me but in no way should you take this to be an official answer. You can contact Kelechi if you are interested in supporting but have questions you need answered first. I answer your questions from a logical (MY logic) stand point. Q1: Will the straight plates work on 4c/4z (i.e tight curls and kinks)? I believe that with proper use (i.e not too much hair on the section), someone with 4c hair (like me!) could expect to achieve a similar stretching as curlformers or a correctly used roller set would give. This would be a blown out look as opposed to a perfectly straight look. People with hair that forms clumped spirals could expect to get a straight look as this type of hair tends to have fewer kinks. Q2: Where is the demo on 4c/4z hair? There isn't one. The young girl in the video is a type 4a - (note - I am not a curl typing fan, but using it this time for those who want a number and letter) and she is the tighter curl demonstrator. As far as I know, the current video is it. Q3: But I need to see a demo on tighter curled hair? You will either have to donate and see the project go through, or wait for others to donate, get their products and hopefully put up a video for you to see. Q4: Heat was used in the video, how can this be a no heat system? In the salon, rollers are dried under a hooded dryer so that you are not sitting around for 6 hours. When you use curlformers, again you can naturally air dry for hours or sit under a hooded dryer. The heat from a hooded dryer does not straighten the hair, it just makes the hair dry faster. The straightening effect arises from using a tool to hold the hair in a stretched conformation. Q5: How can I donate when I am abroad? Will I get my goods? I managed to pledge via the kickstarter page which directed me to amazon, logged in, put in the amount and that is it. I am in UK, it worked. The money will go out at the end of the launch provided it gets to $8000. You are expected to get your goods if promised on the kickstarter or your money back, read the kickstarter terms and conditions. Q5: Why are you (Jc -me) supporting this kickstarter so much? 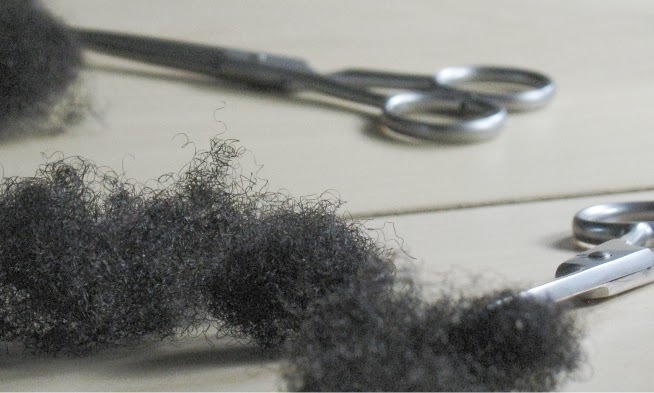 I think that curlformers can sometimes have a rough inner lip edge which can catch hair both when being pulled into the curlformer and pulled out. I would expect less damage with this product. I also think that this product looks (not used it at all, I just think it looks) easier to use especially since the design is well thought through with an initial root grip section. I like the idea, but like many other products, I can't justify buy-in without seeing that it would work for my type of hair (4C). But I hope it succeeds! This is awesome JC. Thanks for being a TRUE supporter and investing in a dream. The only thing I want to know are the sizes of the sets. She mentions a dollar figure, and a slight vague description. She also mentions how may approx. you would need depending on length, but does not mention what the kits contain, and more importantly, how may! I don't want to put down 75, and find out I still need to get another 2 75 dollar kits. You can ask your questions directly to Keleche on the kickstarter page. I can visibly see the sizes as 10 inch, 6 inch and 1 inch (Long, medium and small). I believe the amount you need is proportional to your hair length but just ask her directly, pretty sure she will answer you. I agree with you about innovation...which is why I supported Sprangz, by YouTuber cynthiarf. It's been over a year (two, maybe?) and I find myself using these on a regular basis to stretch my 'fro gently and without heat. Re this product: I don't think this would be something I'd use on a regular basis since I don't straighten my hair but I'd be interested in seeing how this works on coily textures like mine (4b, definable coils that are very tight and small). I really need to get a notebook because I need to make a note of these sprangz for fututre blogs. We've been talking about this for some time on LHCF. Kelechi (the inventor) answered all of our questions and seems genuine. This isn't something I can use as I'm a dread, but I appreciate her innovation and drive. JC- Kelechi has changed the design of the plates & I am now unsure about it. What are your thoughts?